Our recent Willowbrook exterior painting project was a literal change in scenery - Blue Door Painting refreshed the entire exterior of this beautiful home, helping it to stand out against the crowd and remain bold in the coming winter months. Though it may seem counterintuitive, autumn is a great time to touch up or completely redo your home’s exterior. Summertime is great for outdoor projects, but fall has fewer insects, less pollen and a more temperate climate to work with. 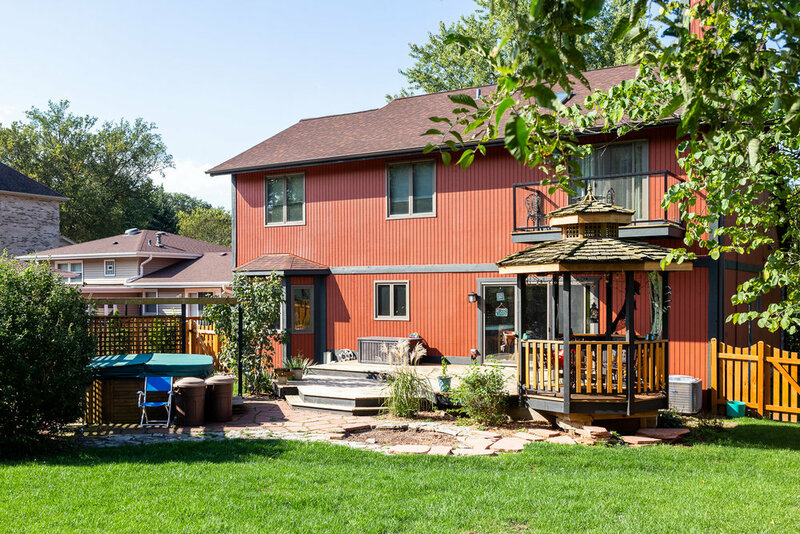 Not only that, but getting a facelift before the snow comes can help your exterior survive some of the harsh side effects of a Chicago winter. For this home, the owner was keen to create a unique look. 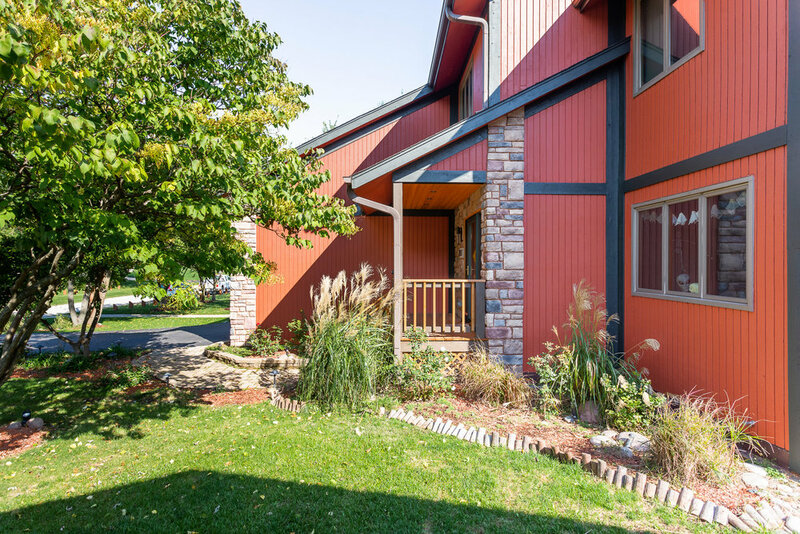 The deep, warm Country Redwood Arborcoat Stain by Benjamin Moore was a bold choice that matched the wood and stone accents already present on the house. To help the red pop even more, we lined the windows with Ashland Slate trim, also a Benjamin Moore Arborcoat Stain. This shade lives in a family of dark grays, but the purple undertones give it more depth than a flatter, more straightforward choice. In just five days, we took a nice home that blended in with its neighbors and transformed it into a gorgeous statement piece in the subdivision. If you’re ready to upgrade your home’s look, contact us today for a free quote. Follow us on Instagram for daily inspirations and read our 5 STAR reviews on Yelp, Angie’s List or Houzz.